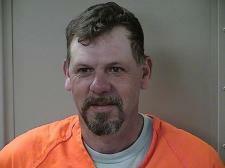 DUI number six is what a Murfreesboro man has been charged with after being pulled over on Middle Tennessee Boulevard. Evidently, Thomas Wayne Wallace failed to maintain his lane, which is why he was stopped. When the man stopped for the blue lights, the officer wrote in a report that he observed a can of Busch beer in the cup holder next to Wallace. The officer also reported that the 46-year-old smelled of overwhelming alcohol. The report went on to state, "Mr. Wallace stated that he drank three beers prior to driving home." After attempts to pass a field sobriety test were unsuccessful, according to the arrest report, it was confirmed that Wallace had five prior DUI's. This situation meant that Wallace would now have six DUI charges under his belt and five DUI convictions. Wallace was charged as a "Habitual Offender." He was also charged with DUI number six, driving with an open container and driving on a revoked license for the second time.